Micromax has gained its place as the best Indian Smartphone seller, this happened due to a successful lineup of Funbook Tablets and Canvas Phones. They are improving their quality and specs [increasing the flagship devices too] of their phones. They exactly know what Indian people are in search of and trying their best to provide the same. Micromax launched Canvas 4 today, this phone is the latest successor of Canvas series and flagship device. Lets, come to the specs and features of Micromax Canvas 4 A210, Micromax has latest 1.2 Ghz Quad core processor, HD screen, 13 MP camera with full HD video recording and latest Android 4.1.2 Jelly Bean Firmware. Well, this spec are not new to the market as Karbonn launched the Titanium S9 few days ago and priced it at Rs 19999, which is a bit higher than Micromax Canvas 4 Price which is tagged with Rs 17999. Conclusion: For me, both the phones are just boosting their HD screen and 13 MP camera. They do not elevate the quality of experience to “Next level” they are just MicroMax Canvas HD with a better camera. 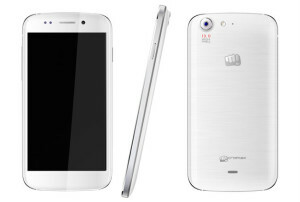 But still, when I compare Karbonn Titanium S9 with Micromax canvas 4 then I would choose Canvas 4. It has a gorilla glass protection and HD video recording. Canvas HD has a smaller screen but of better density and quality, 2000 mAh battery is a bit low for this size phablet but still its decent. Pricing decides the quantity of sales and thus Canvas 4 will surely triumph over Titanium S9. 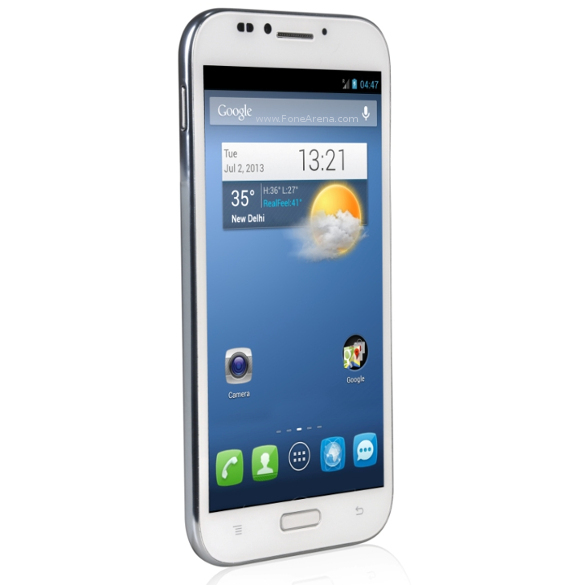 Suggestion: If you are really looking for big screen and have some money to spare better choose Ascend Mate or Xperia ZR. If you want an awesome camera go for Xperia ZR which sports a 13 MP camera with full HD video recording. Ascend mate has some cool features packed into it but you will still miss Dual SIM functionality.